The Manitoban Elk, a highly acclaimed sub-species with legendary genetics, is historically recognized for being one of the largest in North America. Within Manitoba, the elk has continually progressed into a coveted big game opportunity and one that is equally held in high demand. With various herds established throughout the southern regions, elk can be sought in a variety of environments. 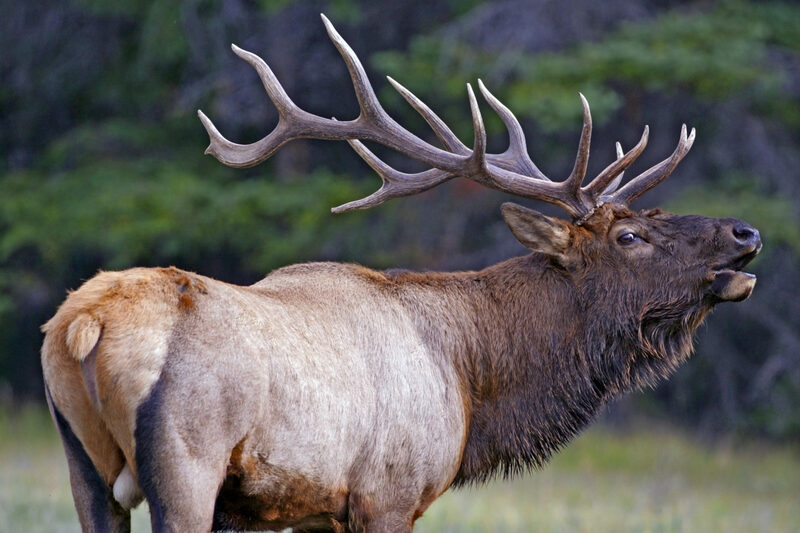 From the elevated hills of the western parkland to the farmland forests of the southern prairies, Manitoba’s iconic elk offers a one of a kind hunting experience that often produces giant bulls with massive antlers and weights that exceed 1000 pounds. Hunting opportunities for elk are offered by draw and are only available to Manitoba Residents. Witnessing an opposing bull aggressively advance to a vocal arrangement of rebounding bugles or drawn out mews is a hair raising occasion that the majority of hunters could never forget. Their menacing presence and piercing tenors can unleash a trembling impression that is often terrifying as it is mind blowing. It’s an experience that is hardly matched and will often result in a front row seat to quite possibly, the most intense big game encounter. The elk is an extremely challenging animal that can instantly sense an unwarranted presence and easily elude the most calculated pursuit! Elk hunts are popular in areas of the Parkland, Interlake and Western Region. Depending on the Game Hunting Area (GHA), hunting season dates are primarily during the months of September through January. For more information on Game Hunting Areas (GHA’s), season dates and resident Elk licenses or additional information on hunting in Manitoba, please visit the Manitoba Conservation website or refer to the current Manitoba Hunting Guide.